That is going to be my new motto. Why? National Pollinator Week got me thinking. Every year Americans spend countless hours, at least $30 billion dollars, and millions of gallons of gasoline just to maintain the dream of a well-kept lawn. In addition, an estimated 70 million pounds of herbicides, fungicides, and insecticides are applied around people's homes and gardens. If these chemicals can kill insects and plants, can we really be sure they are safe for ourselves, our families and our pets? It really wasn't until the Victorian era that it became a sign of affluence to have a weed-free lawn. These wealthy people were encouraged to display their wealth by showing they could have a garden that produced nothing but green grass instead of using their space to grow food, as had been done for centuries. Of course, these wealthy people had many servants to hand pull those weeds and it was before the chemical revolution. Before this ridiculous notion took over, people actually pulled grass out of their lawns to make room for weeds! People used to know the benefits of these plants and often used them in their salads and made beneficial teas from them. Purslane (Portulaca olearacea) is high in omega 3 fatty acids – and you thought you could only get omega 3's from salmon and flax seed! It's high in antioxidants. 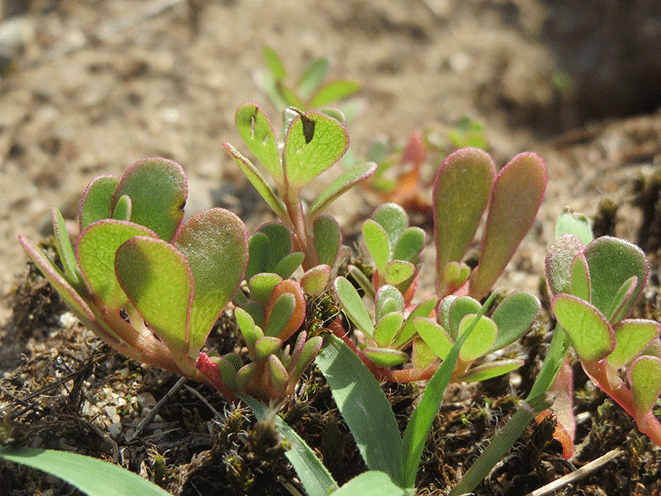 Purslane is high in potassium; it has much if not more than a banana! As much iron as a steak, and it's unbelievably high in beta-carotene! 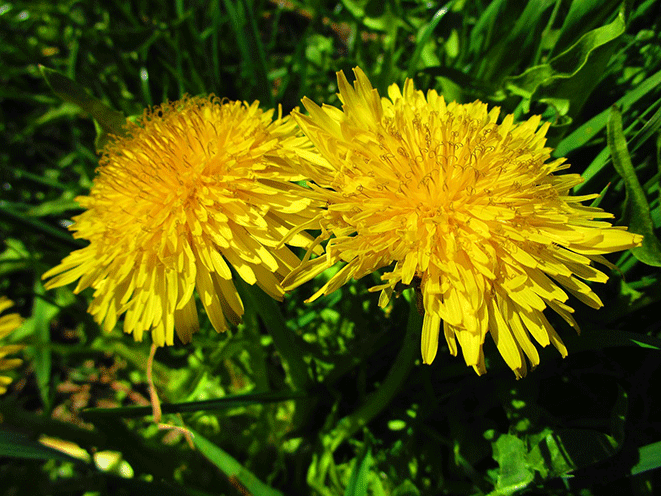 Dandelion (Taraxacum officinale) is one of the healthiest and most versatile vegetables on the planet. The entire plant is edible! The leaves are like vitamin pills, containing generous amounts of vitamins A, C and K not to mention calcium, manganese and potassium. 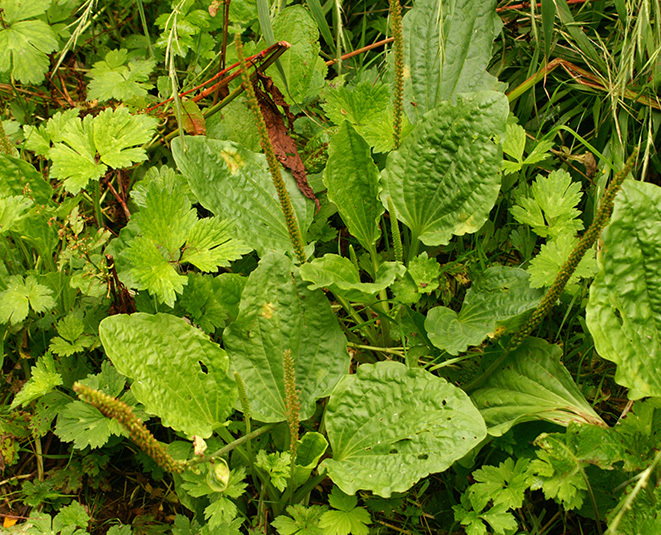 Plantain (Plantago major) It is thought that it was brought over on the Mayflower by the first setters. Plantain has a nutritional profile similar to dandelion — that is, it's loaded with iron and other important vitamins and minerals. The leaves are tastiest when small and tender, usually in the spring but whenever new shoots appear after being cut back by a lawnmower. Bigger leaves are edible but bitter and fibrous. 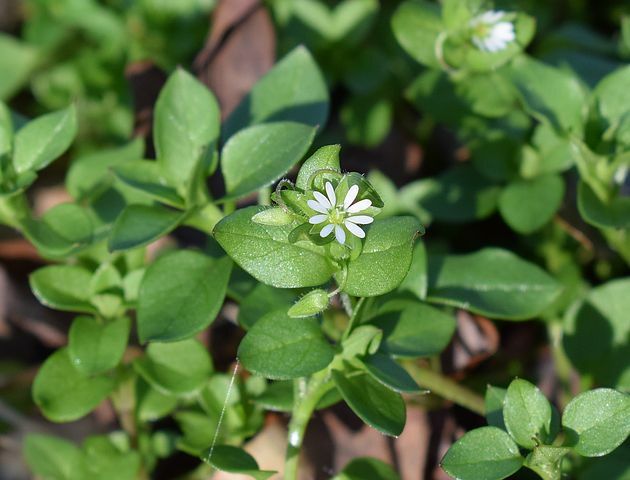 Chickweed (Stellaric media) Another weed high in vitamin C, and it has almost every B vitamin you could want! As if you needed another reason to let your lawn become a green oasis, think about our ever-increasing demand on our dwindling water supplies. 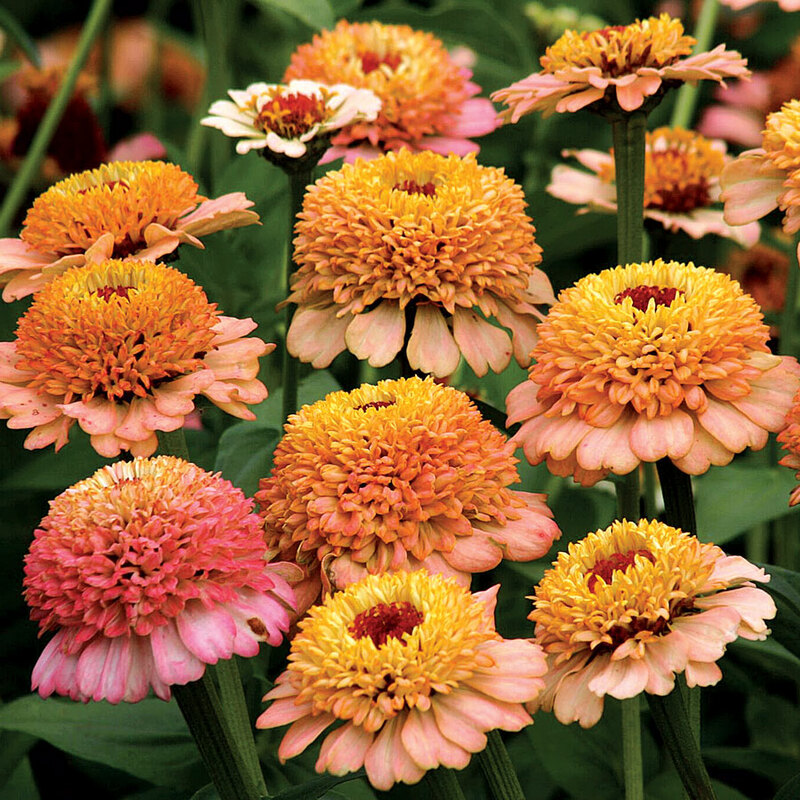 Weeds don't need water like the vast green deserts of lawn. Not to mention those lawn mowers and back pack blowers, which have long gone unregulated, produce as much pollution as driving a car 172 miles when used for only a half hour. Think of all the hours and money you will save not maintaining a lawn that isn't sustainable. You will have money and time to do whatever your heart desires. A healthier environment begins with you. Our parks, schools, and businesses need to set a better example and not buy into the harmful hype about chemical lawns. How much fun would it be to hold a dinner party and be able to tell your guests that they are eating part of your lawn? It's time to re-think the American landscape and at Smith-Gilbert Gardens we are doing just that.